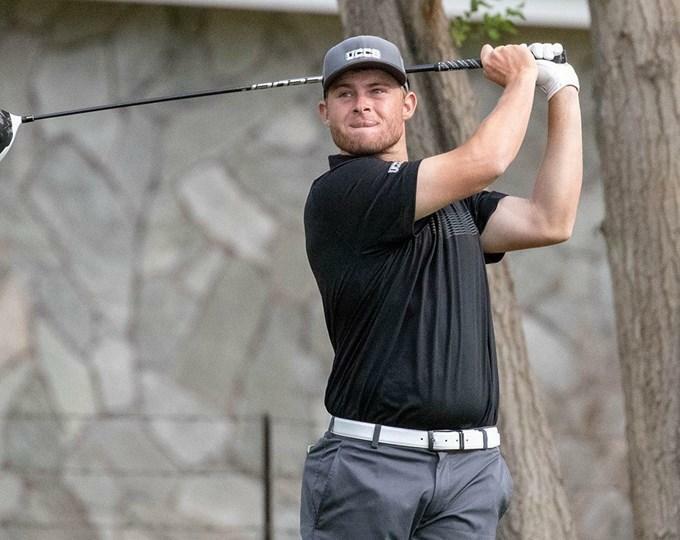 Colin Prater and Tanner Comes each tied for third and led UCCS men’s golf a fourth-place team performance at the NCAA Division II West / South Central Region Championships May 7-9. The top-five finish qualifies the Mountain Lions for national championships for the sixth time in program history. UCCS turned in a three-round score of 871 for 19 strokes over par at La Paloma Golf Club in Amarillo, Texas. The Mountain Lions secured their best regional finish since 2013 with a six-over 290 in the final round, tied for the second-best score among the 20 teams in the round. Prater and Comes finished at four strokes under par with a 209, one stroke behind the leaders. Comes surged in the final round with four birdies and an eagle for a three-under 68. He recorded 13 birdies and a pair of eagles in the three-round tournament. Prater recorded his best round of the week on the second day with a five-under 66 and closed with a two-under 69 in the final round. Jack Duguid tied for No. 37 overall with a nine-over 222 after he opened with a one-over 72. Peter Johns and Ignacio de La Vega rounded out the UCCS scores with a 236 (+23) and 241 (+28), respectively. The Mountain Lions will compete as one of 20 teams in the stroke play portion of the national championships May 21-23 on the Shoals Fighting Joe Course at the Robert Trent Jones Golf Trail in Muscle Shoals, Alabama. The top eight teams after stroke play will advance to the medal-match bracket competition May 24 and 25. UCCS is making its first appearance at the national level since the 2012-13 season.